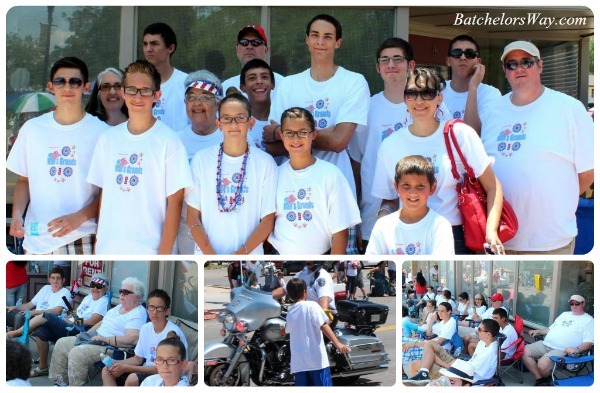 Batchelors Way: 4th of July Family Fun!! 4th of July Family Fun!! It's time to brag on my kids again!! I'm so good at that!!! This time it's all about Emilee!! 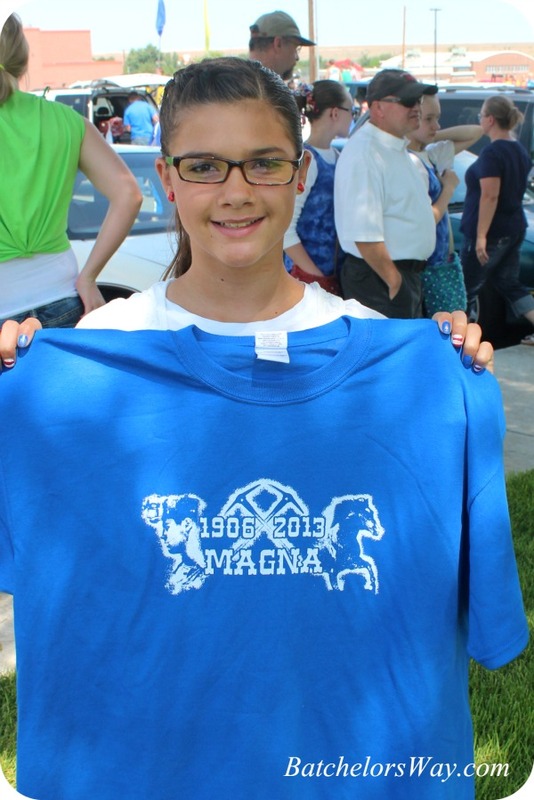 She entered a drawing contest during school for the Magna city celebration and she won!! They used her design for their t-shirts this year!! Her actual design was hand drawn and they changed one of the dates with her permission. Here she is with one of the t-shirts. 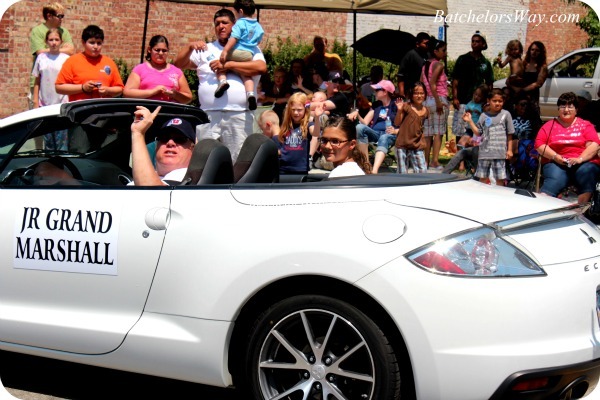 for the Magna 4th of July Parade!! Check her out in this great convertible! We are so proud of her and loved watching her go by during the parade!! Every year Nana has a big 4th of July Party. We begin the festivities by watching the parade. This year Ashlee designed a t-shirt that says Nan's Grands. Nana then had one made for everyone in my and my sister's family. We wore them all day on the 4th. Here we all are at the parade in our matching shirts!! After the parade Nana took us all swimming! Here's Ash and I, all ready to go!! After swimming we had a barbecue at Nana's and went and watched the city fireworks. It was a great day spent with the one's we love the most, our kids!! I now can say my daughters are clothes designers, right? 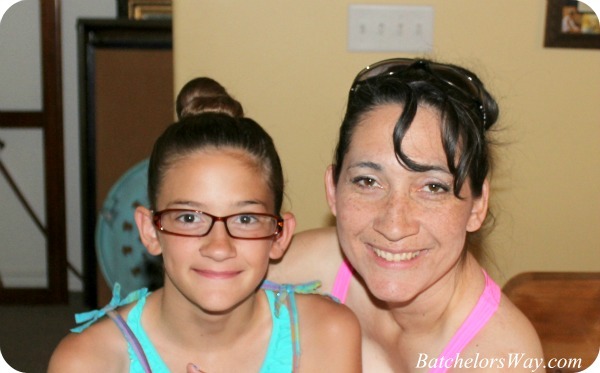 What have you done this summer with your family? Your daughters are beautiful! Definitely worth bragging about. Congratulations to Emilee! :) Talent runs high in this family, I can tell.